If actions speak louder than words, then my pulling the Chorus 10 kit off my carbon T-Cube is at the point of screaming a statement. Not that I'm trying to make a statement, what, ok, maybe I am for 2010. 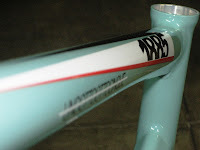 November 2009 I was in Nashville, TN visiting the boys at Gran Fondo Cycles, checking things out and getting in a nice 2 hour spin with Lynn. 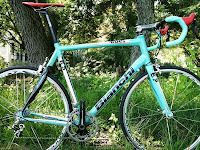 The loaner bike for that day was an older, Bianchi San Lorenzo. I fell in love with the San Lo that day and have not change my mind about wanting to get back on an aluminum road frame. 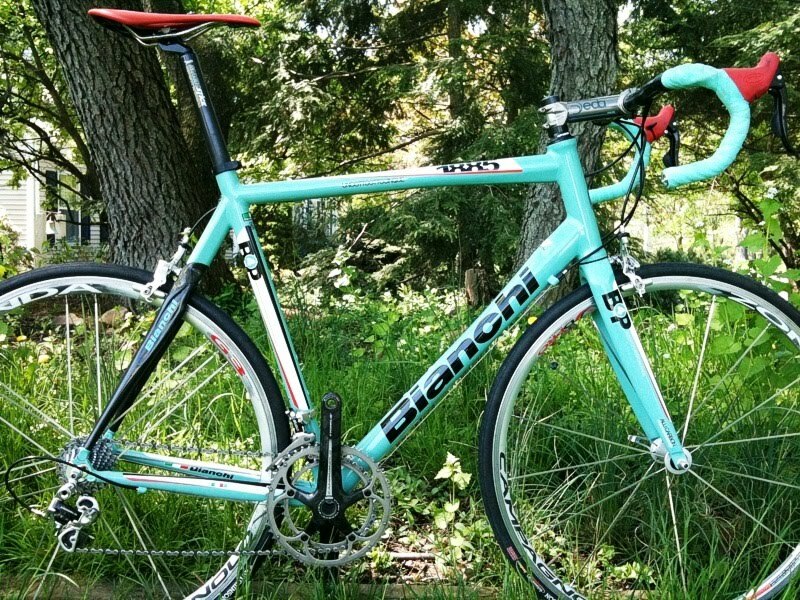 If today's carbon rigs are the hottest fresh young things, then this San Lorenzo is the Cougar of the road bike world. I'll stop right there with any more parallels. To paraphrase my ride last November with Lynn and the bike that changed my mind for the 2010 season, I believe it is time to get back on an aluminum because I enjoy a stiff, fast handling frame. I'm not saying the T-Cube I have is soft and slow, because it's not by any means, but riding a race stock, quality aluminum frame like the 1885 (not the low end mass produce kind where riders hang a saddle bag off below their bum that is the size of a grapefruit) over a carbon bike says a lot about ones ride requirements. And mass produced? There are only 2- 63cm 1885 frames in the US and one of them is sitting in my garage. How's that for not having a 'mass produced_show up for the group ride and everyone is on an XYZ bike'? Being 6'5", any frame I ride is going to have a bit of flex. If you hopped over to the blog that I linked to in the above mid-paragraph sentence, you'll read that the T-Cube is a fantastic platform. And the true litmus test is riding at 25mph sans hands and not having the frame shaking like a squirrel on meth; the T-Cube is rock solid! But the shear fact that I noticed a faster turn in response on the alu frame became a good excuse or at least made my decision easier for a 2010 bike frame. The tube set on the 1885 is shaped using Super Plastic Forming. Here is a manu' quote on SPF-- A high pressure gas is used in this forming process, instead of a fluid. The tubing is also heat treated while in the 500deg Celsius dye. This shot running up to the head tube is one of my favorite views. 210mm tall head tube mated against a heavily manipulated top tube and down tube equals stiff and responsive. 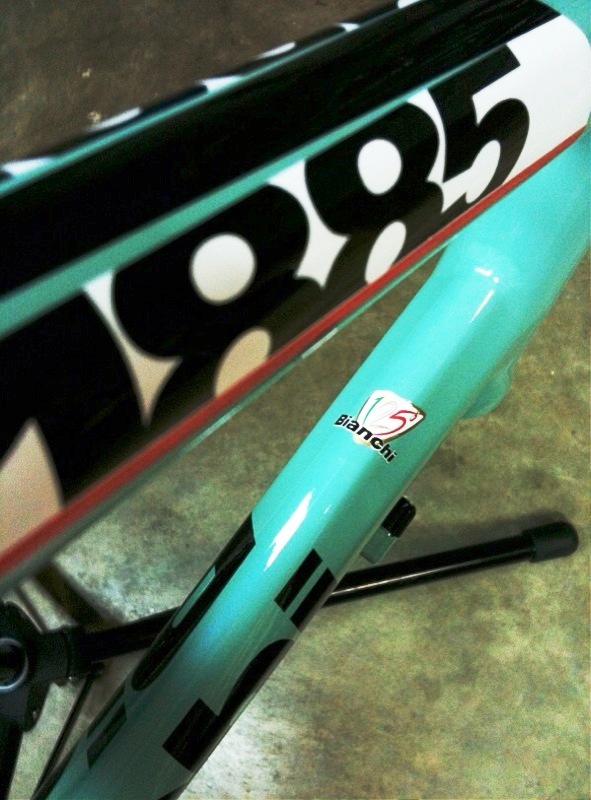 2010 marks Bianchi's 125th anniversary. ...and 27mm tall. Efficient transmission of pedaling force. Machined bottom bracket and the donor bike in the background. Weight of the frame only. 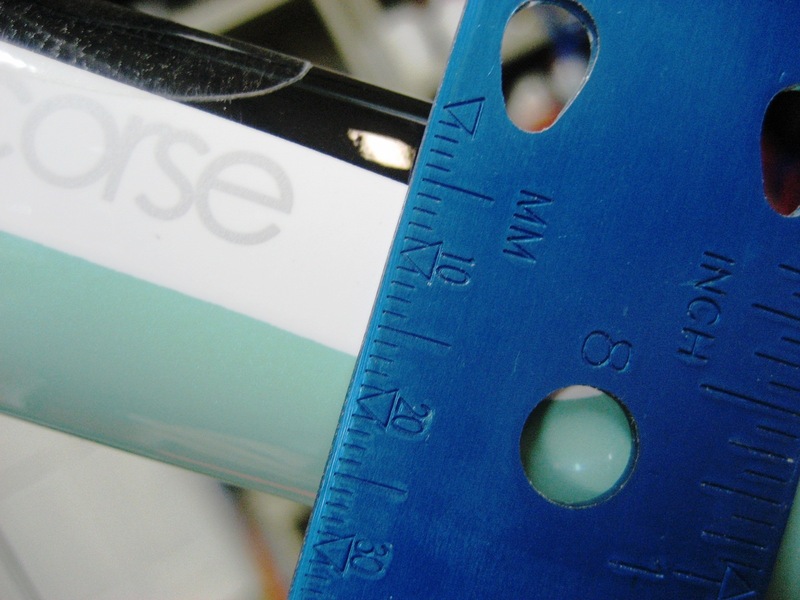 505gr over the T-Cube's 1040gr frame weight. A tick over a pound between both frames. But remember, it's not a pound of rotational mass here. I'm building up the 1885 with all the parts from the T-Cube so it will be a fare comparison come test time. Done! And new Speedplay Zeros were on the way at the time this photo was taken. 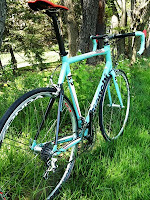 Back to the 'Have you ever...' during a build; not have the foresight to get a new chain for the new build? I knew from a couple of months ago, that my chain is still well within the stretch limits according to my measuring device. 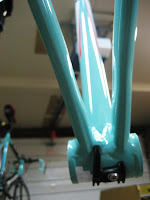 But Campy chorus chains do not have a master link. On a Campy chain you either put on another chain with a quick link (like my second fav chain KMC X10) or you use Campy's master link system which is a section of chain that you must splice into the original chain when putting it back on the bike. 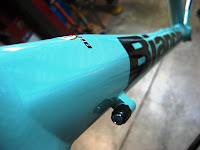 My local Campy shop was closed at the time of the build. I had to brainstorm a bit about this and then remembered I had a Whipperman 10speed quick connect in my tool box. I installed it with a touch of reluctance and so far so good. The shifter and chain are still working in harmony as if the quick link wasn't there at all. I'll try and B.L.U.F. (Bottom Line Up Front) my way through the details of the bike review. 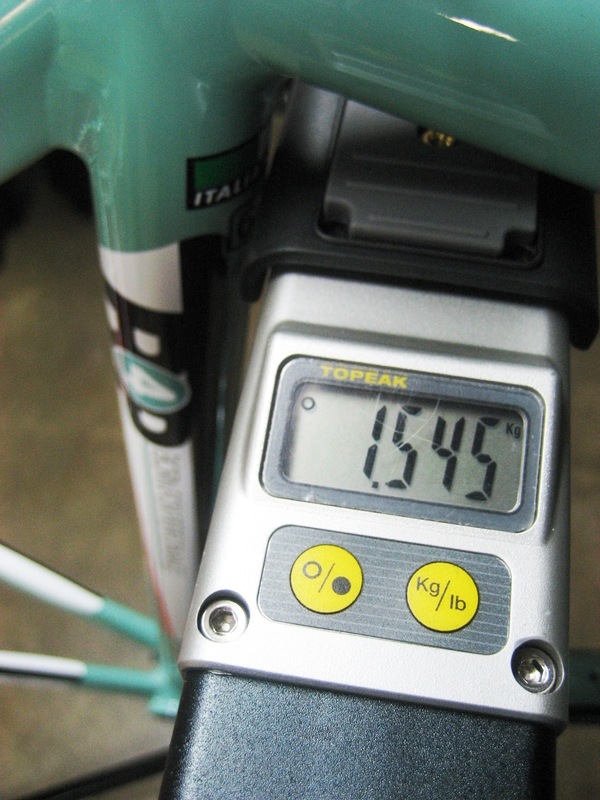 Weighing in at 17.9lbs for a 63cm race ready bike isn't too bad; at least by my tastes. At this point, I'll take a pound heavier, quicker handling bike as long as the extra weight isn't in the wheel set. 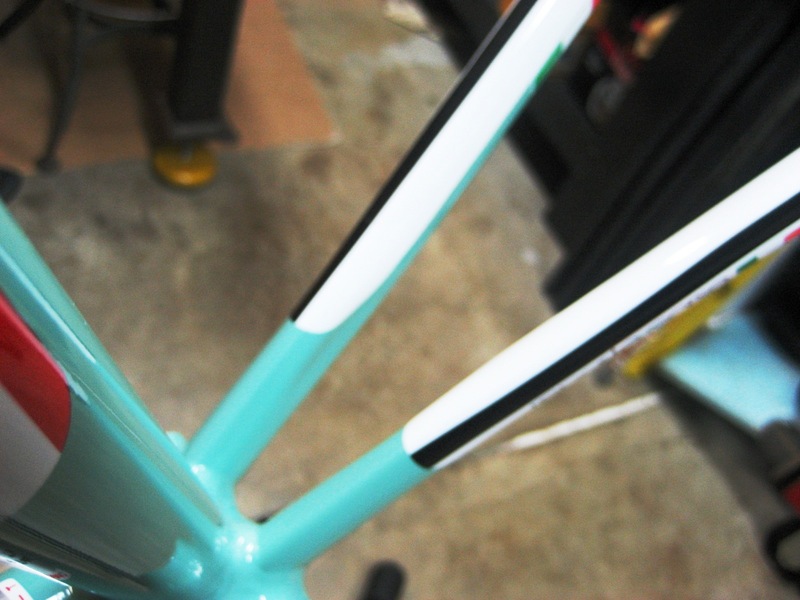 The 1885 carries it's weight through the frame and fork because of it's Super Plastic Formed aluminum tube set. I'm pleased with the finish work at the welds, all hand ground and almost completely smooth. The seat stays are carbon fiber and do a great job as carbon should, with vibration absorption. Like the older, maturer, San Lorenzo, I can make subtle steering adjustments to the bike, with my hips as opposed to standard handlebar movement on other bikes I've ridden. The 1885's acceleration is quick, although I'm not sure how much of that is from the bike and how much it is from me keeping fit over this past winter. Due to my past winter activities which have kept me from getting stale, I've been able to lower my stem 20mm, bringing me closer and more intimate to the bike! The final item that I enjoy about the new rig is how communicative the ride quality is. Not jarring and bone shaking like cheap aluminum bikes; rather the feel of the road is a bit more 'there'. 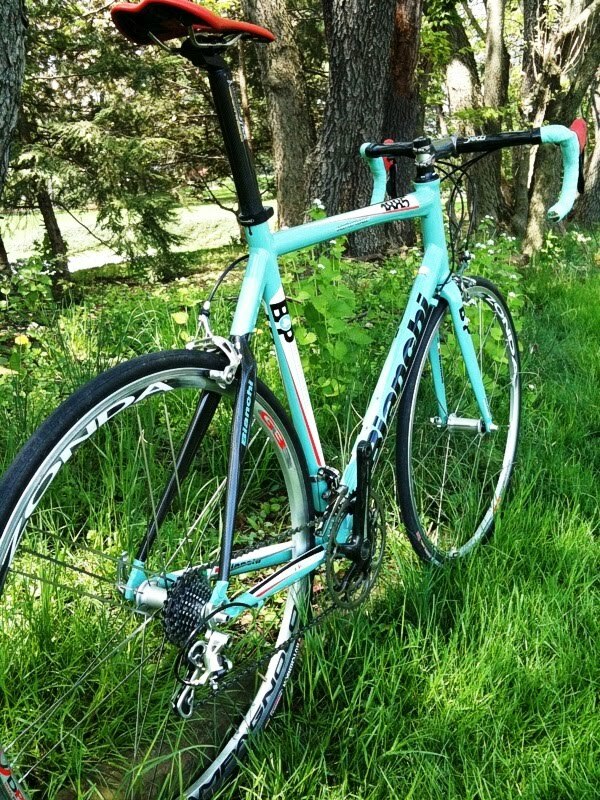 Along with the Campagnolo Chorus 10speed clicky/notchy shifting, you'll know how and where the bike is at all times. So far I'm in love!